Sonoff TH10is a wireless temperature and humidity monitoring switch which can remotely monitor and set temperature and humidity range to turn on/off connected appliances through the iOS/Android APP eWeLink. 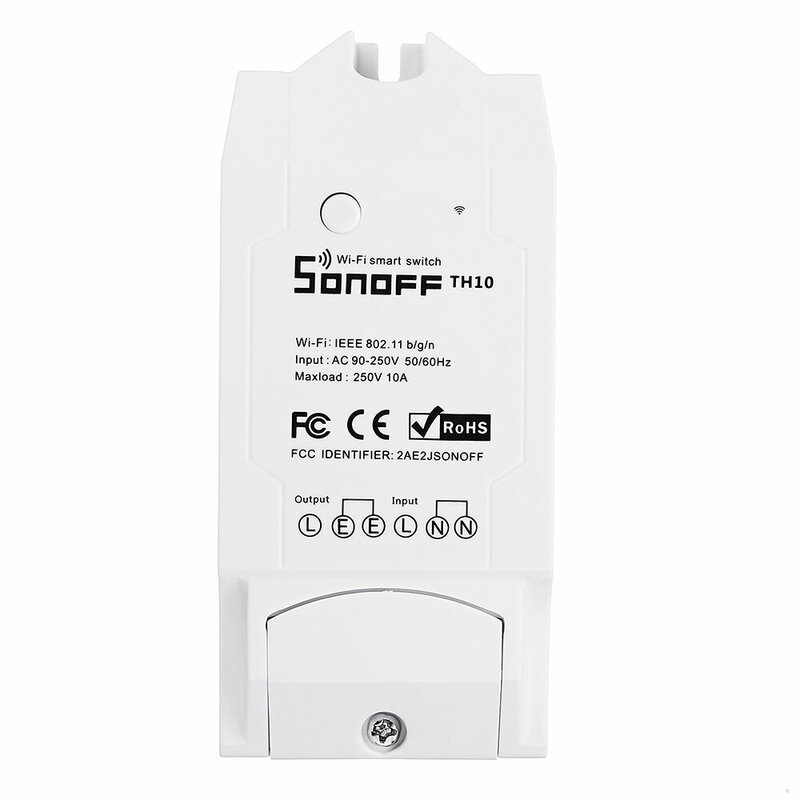 Just as the name indicates, the Sonoff TH temperature and humidity monitor device supports two maximum current supply specifications: 10A. 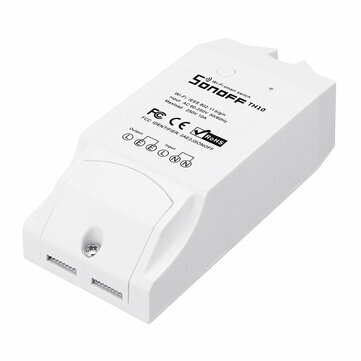 Note: the sensors are not included in the package of Sonoff TH10. With the eWeLink app, users can create simple conditional statement (Smart Scene) to trigger on/off other smart devices. This means users can use Sonoff TH10 with Si7021, AM2301, DS18B20 sensor to detect temperature/humidity, and then set specified temp. or hum. ranges as conditions to trigger on/off other smart devices in the same account, such as Sonoff Basic, Sonoff RF, Sonoff SV, S20. This device works perfectly with electric fan, air conditioner, humidifier, smart fish tank, watering system, etc.